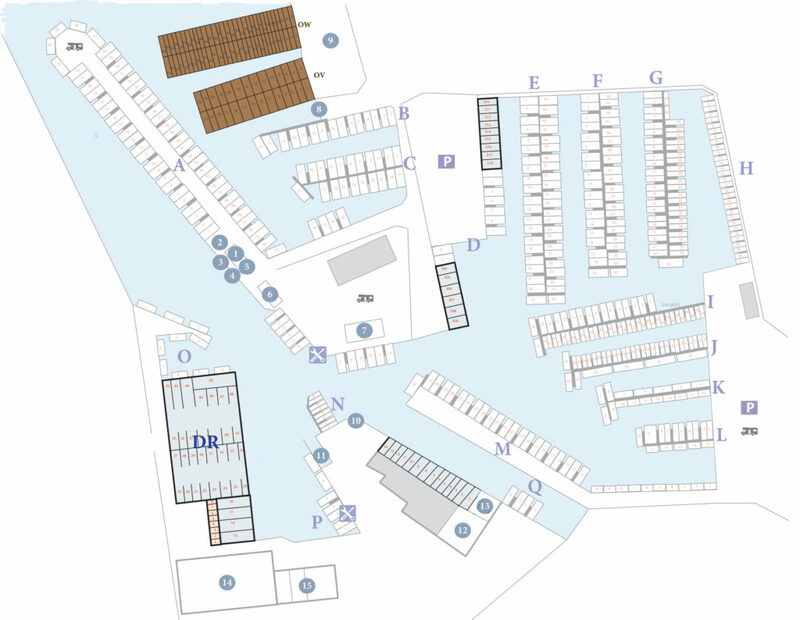 Places 1 – 14 are behind the Water sport shop and they all have a seperate roll door. Places 15 – 49 are in the water halls and are closed with a roll door. Places 304 – 318 are located at the Buitenstvallaat. All these boxes have a seperate roll door. Covered places OW & OV are located at the Buitenstvallaat. All these boxes are semi-covered with solar panels. The prices are calculated on boat length. The boat house numbers that are displayed bold are the overall box lengths. The prices beneath, are the prices given on boat length. You always pay a fair price on the actual boat length.